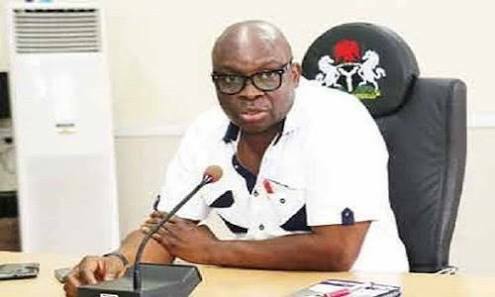 Governor Ayo Fayose has filed a N20 billion lawsuit against the Economic and Financial Crimes Commission (EFCC) for placing him on a watchlist. The Commission had written to key security agencies demanding that Fayose be arrested if he attempts to flee the country through land, sea and air borders. He further ‎demanded a written apology to be published in three national newspapers and social media. ‎The governor is also seeking a declaration that the statements contained in the EFCC letter dated September 12, 2018 – and addressed to all Security Agencies in Nigeria, portraying him as a criminal, a fugitive and a runaway from the law – are not true, are malicious, are not fair statements. Fayose wants the court to further declare “that the EFCC letter placing him on watchlist and directing his arrest on sight, even while a sitting Governor, is unconstitutional as same offends the clear provision of Section 308 of the 1999 Constitution of the Federal Republic of Nigeria (as amended) which clothes the him with immunity against arrest and prosecution as an incumbent Governor.